Last weekend I was down at "The Rivah" with some friends and my family for the weekend in Whitestone. On the way down we stopped at The Virginia Street Cafe in Urbanna for lunch and a visit with my 92 year old aunt. 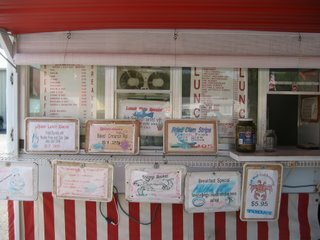 The Virginia Street Cafe offers a nice selection of local seafood- I loved my softshell crab sandwich and my two year old dug into the fried shrimp special. 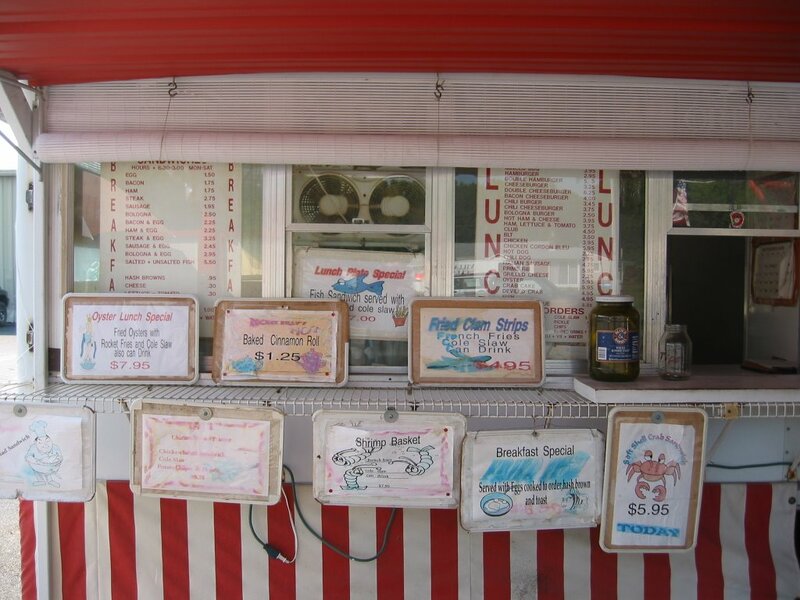 They make a point of using local seafood. 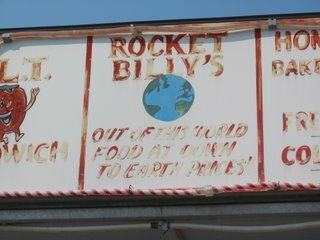 The next day, Ed and I stopped for a bite at a local roadside food shack, Rocket Billys for a second breakfast. Had a great ham, egg, and cheese sandwich. 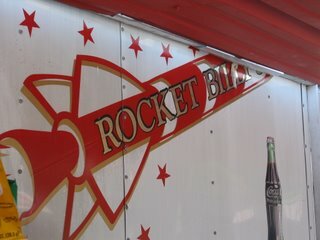 Had a nice chat with Rocket Billy himself about his business, food sourcing and the world in general. 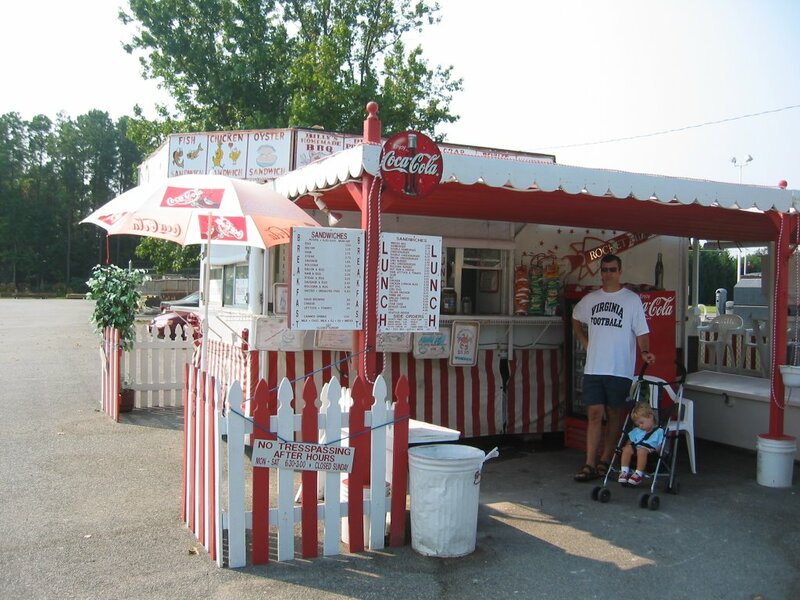 I was very surprised to hear that 99.9% of his product comes from the corporate behomoth Sysco- the only local ingredients are oysters, but even then its not all of the time. 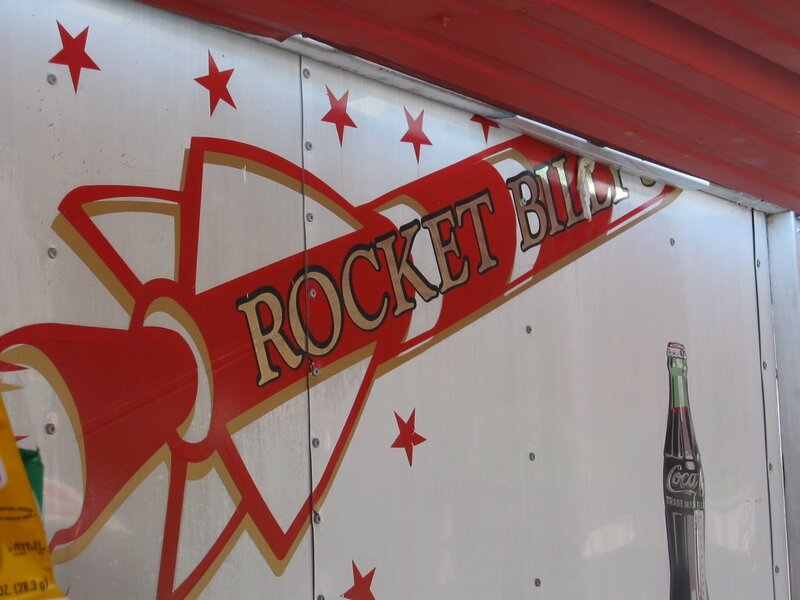 For a modest operation such as Rocket Billy's, he relies on the consistency (both in availability and pricing) that a large distributor can offer. It's too bad though- the "localness" of a place like Rocket Billy's loses some of its cachet with this revelation. But I guess only higher end restaurants can afford to buy local. But the day before in Urbanna I was told otherwise. What's really the driving force? Convenience ? 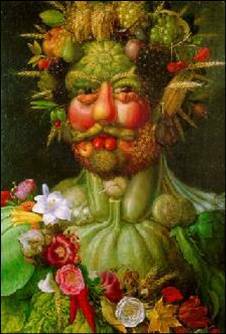 Our highly efficient system of food distribution is very good at making all types of fresh food available everywhere all the time. 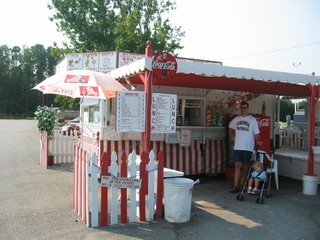 It is very bad at making sure that the type of fresh food available at a given location is a type from that location. I think it has to with a highly specialized farming supply and distribution chains.